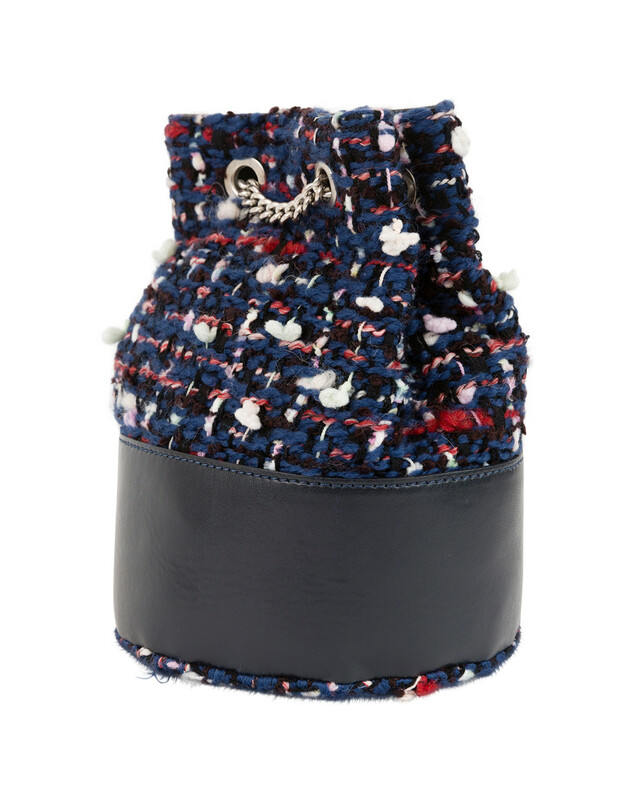 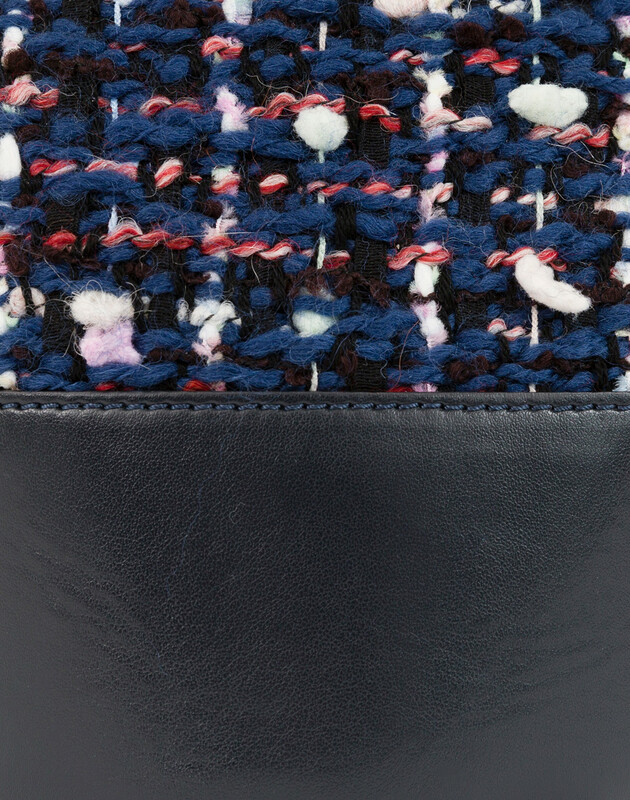 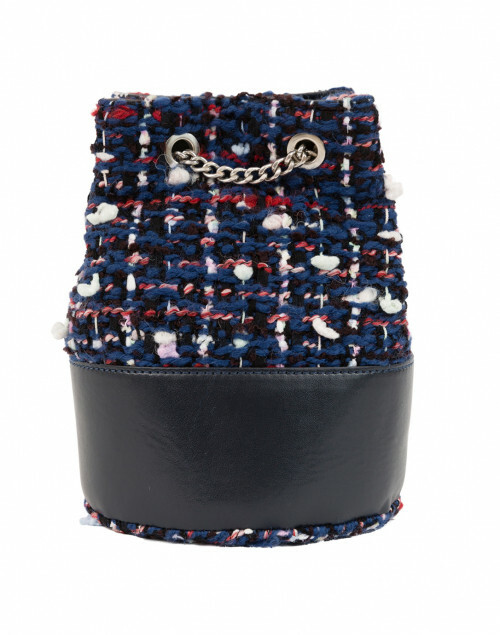 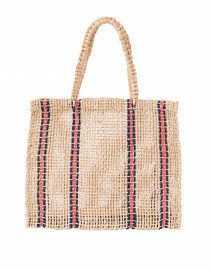 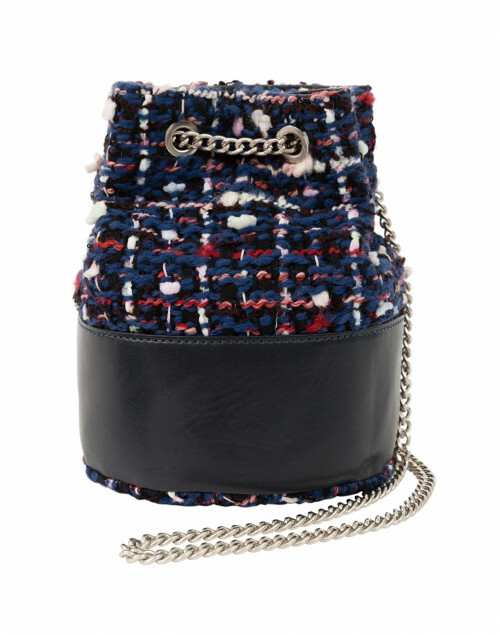 Look to Weill for contemporary yet elegant bags, such as this blue and red tweed Cylia bucket style. Its crafted with a silver-tone adjustable length shoulder strap, and a wide black leather trim. 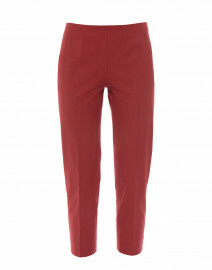 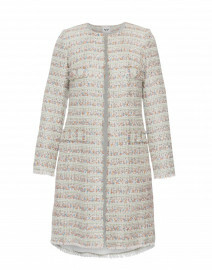 Style it with cropped trousers and a black cardigan for chic and poised casual ensemble.